The great outdoors beckons people year-round. But nature is especially enticing in summer, when warm weather compels people to leave their couches and soak up some sun. Spending time outdoors is rewarding, and it can be even more so when men and women take steps to make their outdoor recreation as eco-friendly as possible. Whether it’s choosing certain activities or taking other measures, there are various ways to go green when spending time outdoors this summer and beyond. Americans and Canadians consume more gasoline per capita than any people in the world. According to data from the U.S. Energy Information Administration and the United Nations, Americans consume 4.39 liters of gasoline per capita each day, while Canadians consume 3.62 liters per capita each day. In lieu of driving everywhere this summer, men and women who want to be more mindful of the environment can leave their cars home more frequently. Rather than driving the family to a nearby ice cream stand, walk or bike there instead. Run as many errands on foot or on a bicycle as possible. Walking or cycling is a great way to get some time outdoors on warm summer days, and reducing fuel consumption is an equally great way to help the planet. Another way to help the planet when spending time outdoors this summer is to vacation locally. People who vacation close to home typically do not fly, and that’s a significant benefit to the planet. The Intergovernmental Panel on Climate Change notes that aviation emissions release black carbon, nitrous oxide and sulphur oxide, which contribute to the greenhouse gas effect. And while the EIA notes that automobiles and airplanes produce relatively similar amounts of carbon dioxide per gallon, airplanes burn considerably more fuel than cars, thanks in large part to the considerable amount of fuel planes burn on the runway. By vacationing locally, outdoor enthusiasts can reduce their reliance on airplanes, thereby reducing the effects those airplanes have on the environment. Various activities, from organic gardening to planting trees to beach cleanups, provide a great way to get outdoors and help the planet at the same time. Men and women who grow their own vegetables can take solace knowing that the vegetables they’re eating each night did not require the depletion of any natural resources to go from garden to table. 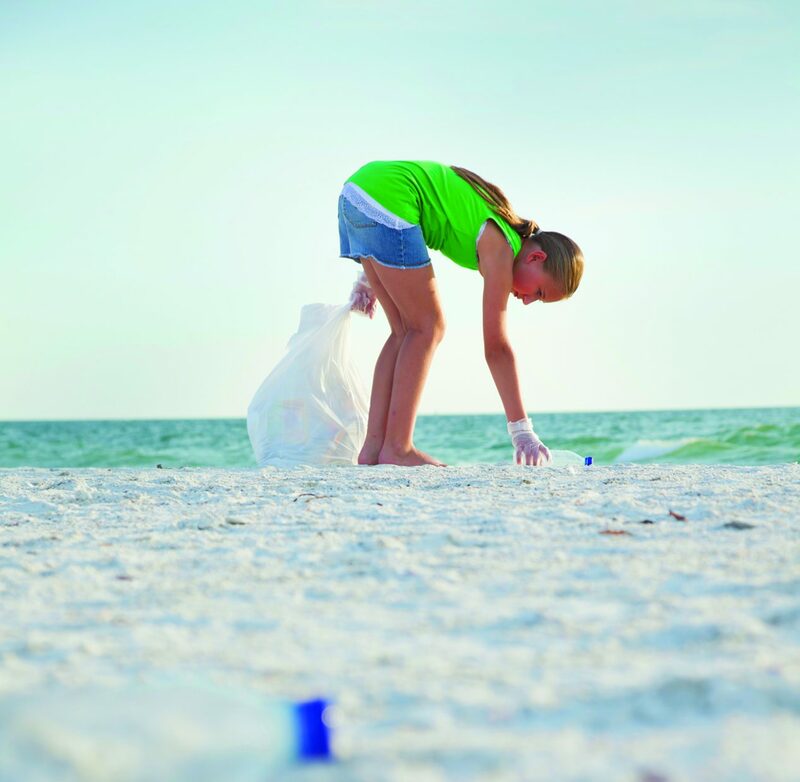 Signing up for beach cleanups can prevent trash, including harmful plastics, from making its way into the world’s oceans, and such cleanups provide a great excuse to go to the beach. Volunteer with a local park service. The National Park Service offers a variety of volunteer opportunities to individuals who are enamored with the great outdoors and are interested in protecting their local and national parks. Such opportunities can be explored by visiting www.nps.gov/getinvolved/volunteer.htm. Parks Canada (www.pc.gc.ca) offers similar opportunities to outdoor enthusiasts. Outdoor enthusiasts can make their summers more rewarding by taking steps to be as eco-friendly as possible when spending time outdoors.